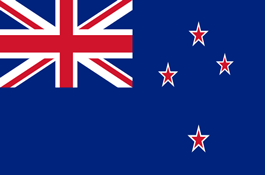 Your Personal Shopper provides international shipping services to customers of New Zealand. We actively manage freight services through long-standing partnerships and relationships, which allow us to offer reliable, faster and more cost-efficient services to enhance your competitiveness. YPS can offer a variety of international brand frequencies and transit times to help everyone for shipping products. As everyone says, time is money! So why would you spend your precious time searching for an affordable, reliable, experienced freight forwarder when you can just contact us and we will do all the shipping work for you! We have long international standing relationships with all the major brands for shopping & shipping. A parcel delivery might have a great service out of UK or USA, but may be poor out of New Zealand. You shouldn’t have to put up with this! With us, you get great service wherever your shipment comes from! We have the benefit of being able to offer the BEST option of shipment, whether you buy a little or a lot; we give you the same top shipping service no matter what. Unless you spend million per annum on shipping, but a multinational company doesn’t give you the great service you deserve. We give you the guarantee of our service 100%. Your satisfaction is our goal. So don’t delay! Please contact us and start Shipping. PBT ships your packages directly to you at your doorstep.